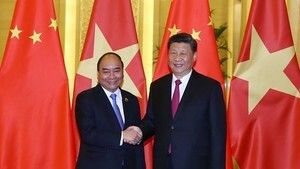 Prime Minister Nguyen Xuan Phuc arrived in Hanoi early in the morning March 19, concluding his official visits to New Zealand and Australia where he also attended the ASEAN-Australia Special Summit, at the invitation of his New Zealand and Australian counterparts Jacinda Andern and Malcolm Turnbull. During his trip to New Zealand from March 12-14, PM Phuc had a series of activities in Auckland – the largest city of the country. The Vietnamese Government leader was welcomed with the traditional Hongi greeting of local Maori people at the official welcome ceremony and all destinations that he visited. PM Phuc held talks with New Zealand PM Andern, during which the two leaders discussed orientations to deepen the bilateral comprehensive partnership. They agreed to step up measures to promote trade ties, towards lifting two-way trade to US$ 1.7-2 billion by 2020. The PMs also reached consensus on further fostering cooperation in other potential fields such education and labour, striving to increase the number of Vietnamese students in New Zealand by 30 percent in 2020. The two sides issued a Joint Statement on advancing the Comprehensive Partnership toward the Strategic Partnership. During this visit, PM Phuc witnessed the signing of cooperation agreements; and had a meeting with New Zealand’s Speaker of the House of Representatives Trevor Mallard and a phone talk with Governor-General of New Zealand Dame Patsy Reddy. He attended the Vietnam-New Zealand Business Forum; received representatives from several groups and enterprises of the country; and met with students of the Waikato University and the Auckland University of Technology, and the Vietnamese community in New Zealand. PM Phuc’s visit contributed to creating an impetus to strengthen the comprehensive partnership between Vietnam and New Zealand in a practical manner, serving as a momentum to elevate bilateral relations to the level of Strategic Partnership. During his official visit to Australia from March 14-18, where he also attended the ASEAN-Australia Special Summit, PM Phuc joined up to 43 activities in Canberra and Sydney. 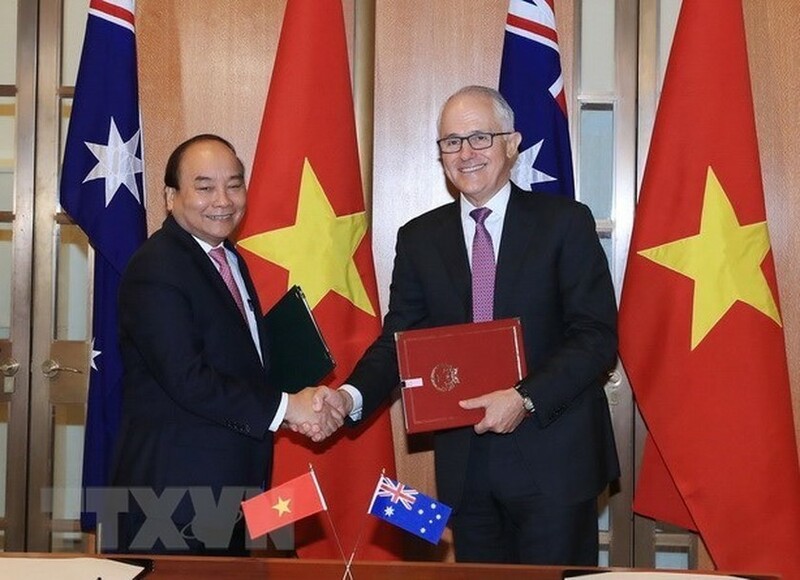 PM Nguyen Xuan Phuc and Australian PM Malcolm Turnbull signed the Joint Statement on establishing the Vietnam – Australia Strategic Partnership. The Vietnamese leader held talks with PM Turnbull; and met with Governor-General of Australia Peter Cosgrove, President of the Senate Scott Ryan, and Speaker of the House of Representatives Tony Smith. He had meetings with lecturers and students of the Australian National University, and representatives from the Australia-Vietnam Friendship Association, Vietnamese outstanding entrepreneurs and expats in Australia; and visited the Commonwealth Scientific and Industrial Research Organization (CSIRO). PM Phuc and his Australian counterpart Malcolm Turnbull agreed to create the best conditions for enhanced economic cooperation between the two countries in a comprehensive and intensive manner through fully tapping the great potential of the two economies. They highlighted the increasing cooperation between the two countries’ people through education and tourism collaboration, and culture exchanges. They also emphasised the importance to ensure peace, stability, security and freedom of aviation and navigation in the East Sea, as well as the strict enforcement of international law, including the UN Convention on the Law of the Sea 1982 (UNCLOS), in resolving disputes at sea; and supported the early conclusion of an effective and legally-binding Code of Conduct (COC). PM Phuc and Governor-General of Australia Peter Cosgrove co-chaired a banquet celebrating the 45th founding anniversary of Vietnam-Australia diplomatic ties. In Sydney – the capital city of New South Wales and the biggest financial and trade centre of Australia, PM Phuc attended the Vietnam–Australia Business Forum, which saw the participation of over 400 entrepreneurs and investors of the two countries. He met and had dialogues with representatives from leading Australian enterprises. In his speech at the ASEAN-Australia Special Summit, he pointed out important orientations for the ASEAN-Australia strategic partnership, focusing on priorities of boosting economic cooperation and ensuring peace, and security in the region. In a retreat between leaders of ASEAN and Australia within the framework of the summit, PM Phuc urged the Association of Southeast Asian Nations (ASEAN) and Australia to intensify cooperation and mutual trust, for interests of each side, as well as for cooperation and stability in the region. PM Phuc, together with leaders of the ASEAN member nations and Australian PM Turnbull, had a meeting with former Australian students who had participated in the New Colombo Scholarship Programme in Southeast Asia nations, and witnessed the signing of an ASEAN-Australia Memorandum of Understanding on cooperation in the fight against international terrorism. On the sideline of the summit, PM Phuc had bilateral meetings with his counterparts from Laos, Cambodia, Thailand, Malaysia, and Singapore. PM Phuc’s official visit to Australia and his attendance in the ASEAN-Australia Special Summit officially lifted the Vietnam-Australia relationship to a new height, and contributed to promoting cooperation and connectivity between ASEAN and Australia in the coming time. In an article published right after the closing of the summit the Vietnam News Agency (VNA) highlighted efforts, commitments and specific actions of Australia and ASEAN to further bolster their strategic partnership. The outcomes of the summit would be important development orientations for the ASEAN-Australia strategic partnership in the new period, it wrote. With the strong determination of both ASEAN and Australia as well as the traditional relationship, relations between the two sides would continue growing strongly in the time to come, the article stressed.